Hasbro Teases First Image Of Multi-Property Universe Project - Agents of M.A.S.K. The end of 2015 brought perhaps the best gift for M.A.S.K. 's 30th anniversary...Hasbro's announcement in December that our favorite franchise will be included in a multi-property universe project. Today at Toyfair, Hasbro's investor update presentation gave us the first glimpse at what might be the new M.A.S.K. team. The cropped image for M.A.S.K. shows a bearded, brown-haired man in a red suit holding a mask. 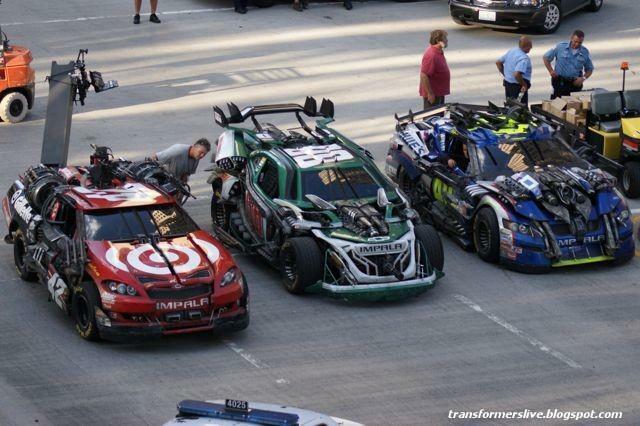 In the foreground are three vehicles, two of which appear to be the NASCAR wrecker vehicles from Transformers: Dark of the Moon with the other vehicle being a white futuristic car. 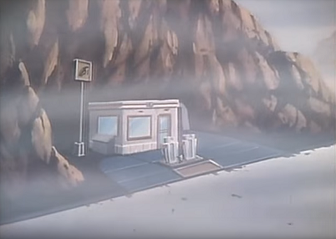 In the background is some kind of ship or structure in the sky, but it's really hard to tell. My take? Surely this can't be the new M.A.S.K.!!! 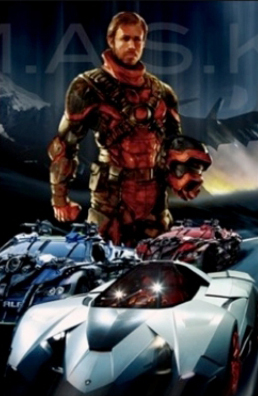 The reused Transformers cars tells me they aren't even close to giving us any real concept art. I do like the suit/mask combo and could see it as Matt Trakker's new Spectrum flight suit. However, I'm not really thrilled at the actor choice (looks like Ryan Reynolds with a beard) as we all probably would agree that Matt Trakker needs to have blonde hair. And why wouldn't you use red for the new ThunderHawk? If I had to take a guess, the creative people were "under the gun" to come up with something for this investor presentation and they patchworked this image from existing art on file. It is disappointing that other than G.I. 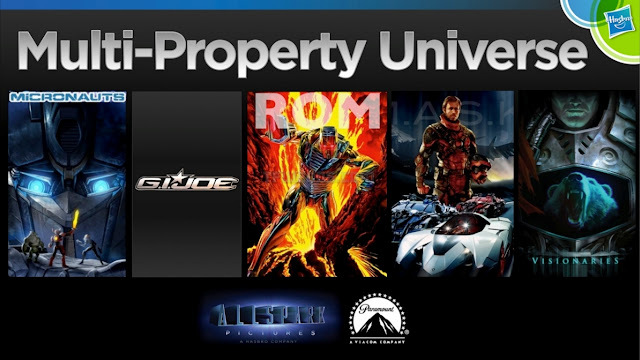 Joe (which is in development for another sequel anyway) the other properties in the image appear to have some higher quality concept art. But before I jump to any conclusions, I'll take this image as what it was intended for, the investors...not the fans. I expect something much more for M.A.S.K. as the multi-property universe project develops. Like you said, this is a far cry and potentially a rushed promo. Hasbro should entertain the fan scripts and fan art to get a better grasp on the product. Yeah and it bites gas!